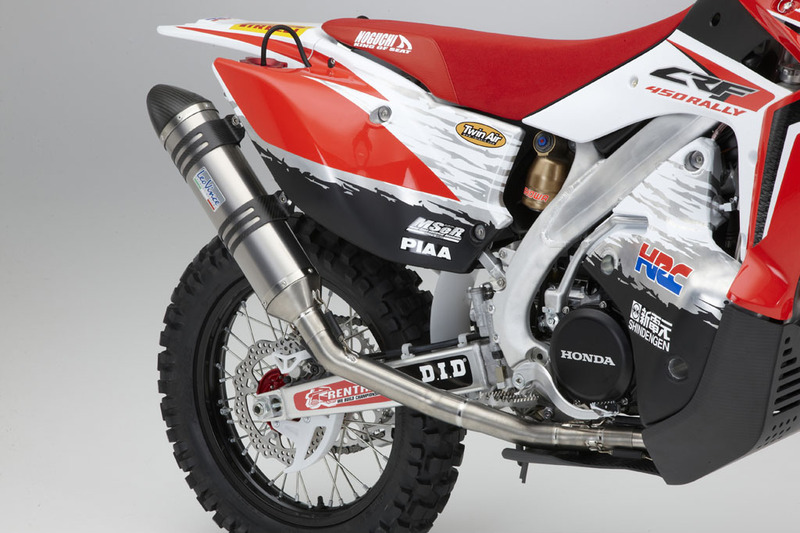 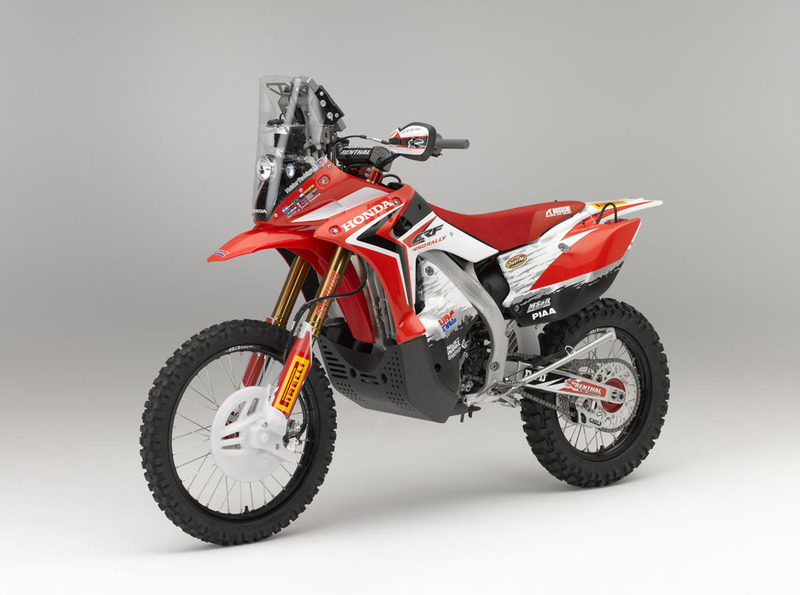 Today at Intermot 2012, Honda unveiled the CRF450 Rally, the machine it plans to enter in the 2013 Dakar Rally, marking the manufacturer’s return to the race after more than two decades. 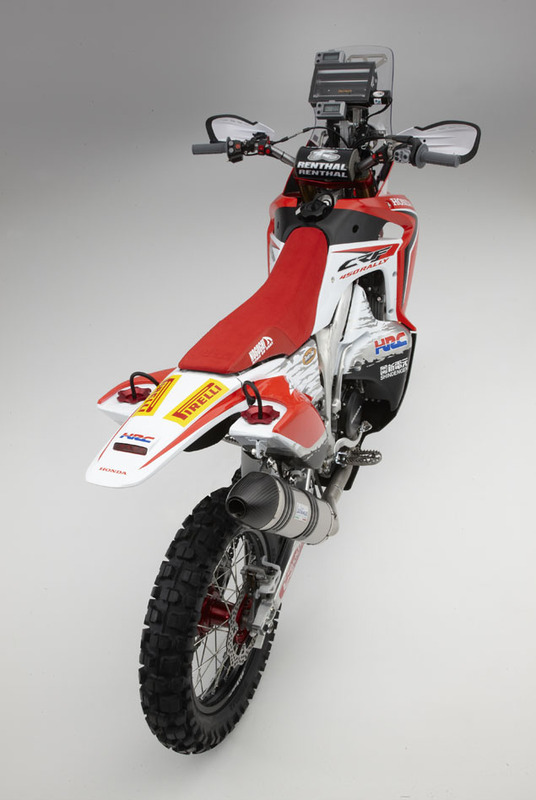 Honda has competed nine times from 1981 in the forerunner of the present Dakar Rally, the Paris-Dakar Rally. 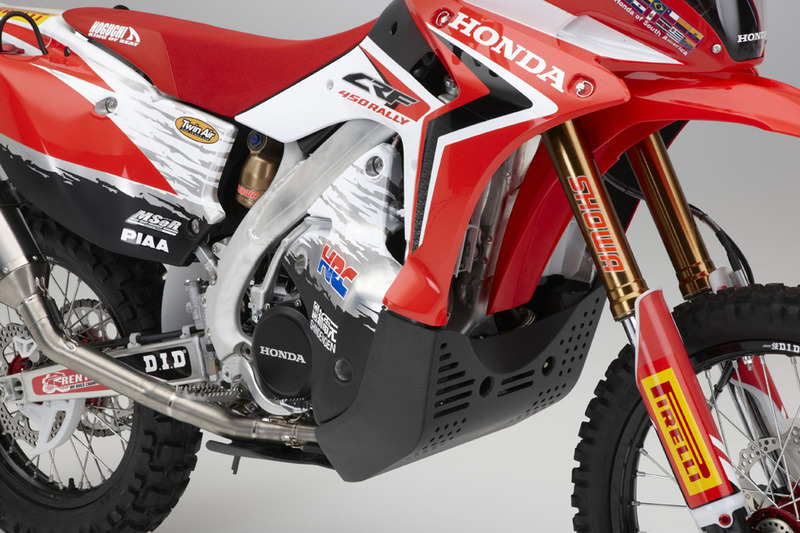 Cyril Neveu of France took Honda to its first victory in 1982, the race’s fourth year, and from 1986 to 1989 Honda won four consecutive titles for an overall record of five victories in nine years. 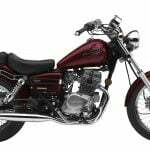 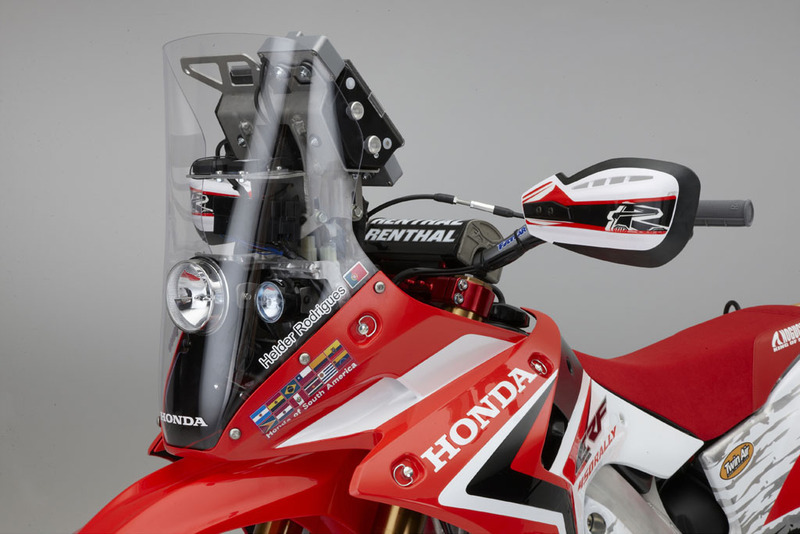 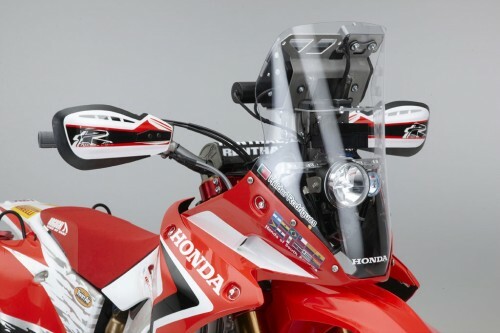 The CRF450 Rally is based on Honda’s commercial CRF450X enduro racing model, and features electronic fuel injection, auxiliary fuel tanks in the panniers and lower side fairings, and the requisite navigation equipment located behind the windscreen. 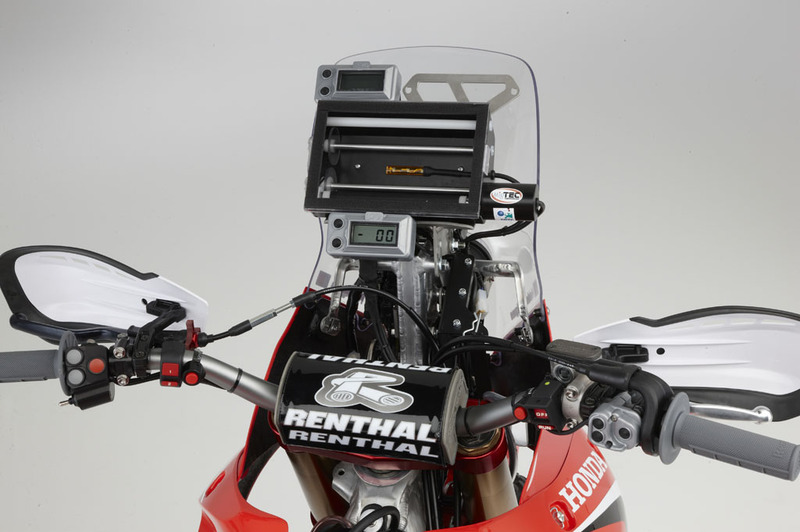 Interestingly, the navigation device is not a GPS, but instead is a backlit unit designed to hold the “Road Book” — a set of pace notes each competitor receives and is then free to modify. 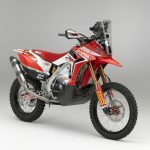 Honda will enter a five-man team, including 11-time Baja 1000 champion Johnny Campbell (USA), Helder Rodrigues (Portugal), Felipe Zanol (Brazil), Sam Sunderland (United Kingdom) and Javier Pizzolito (Argentina). 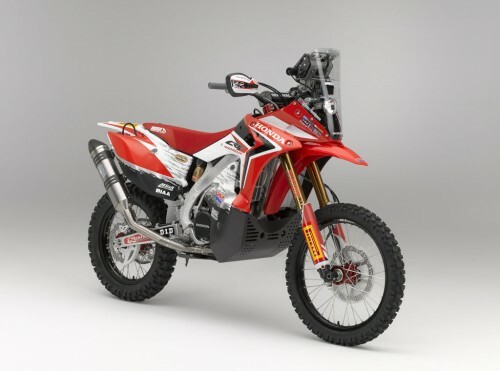 The CRF450 RALLY model currently under development has already undergone testing in Japan, and will be ridden in its first race at the Morocco Rally starting October 14th. 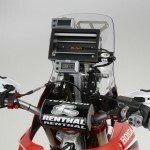 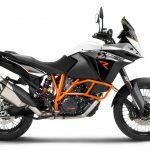 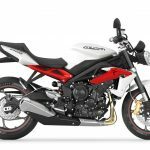 The five riders set to compete in the Dakar Rally will ride the Morocco Rally mainly to gather data, identify any problems with the machine under actual race conditions, and pinpoint any operational issues. 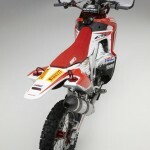 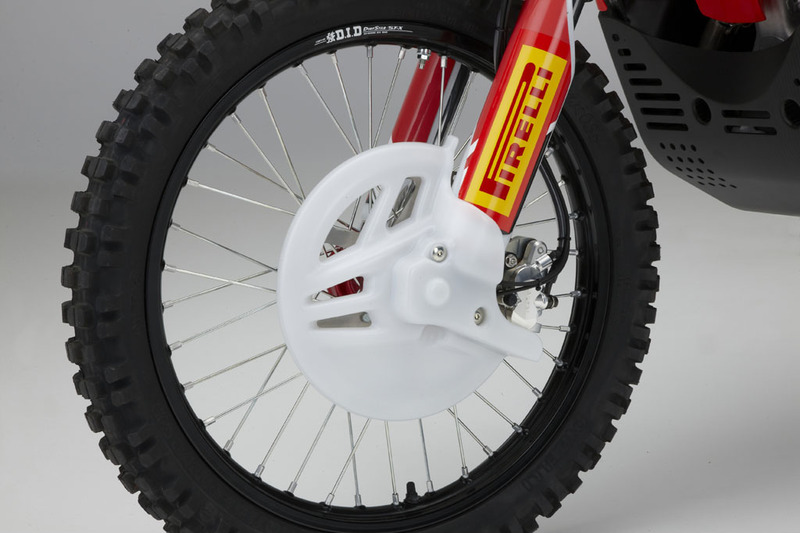 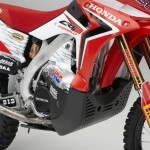 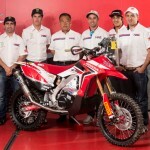 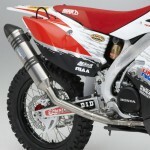 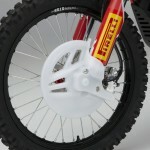 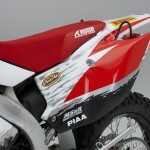 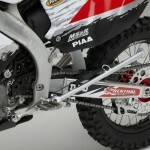 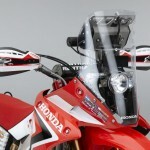 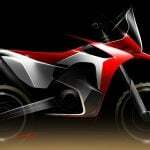 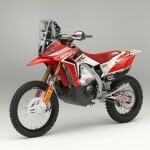 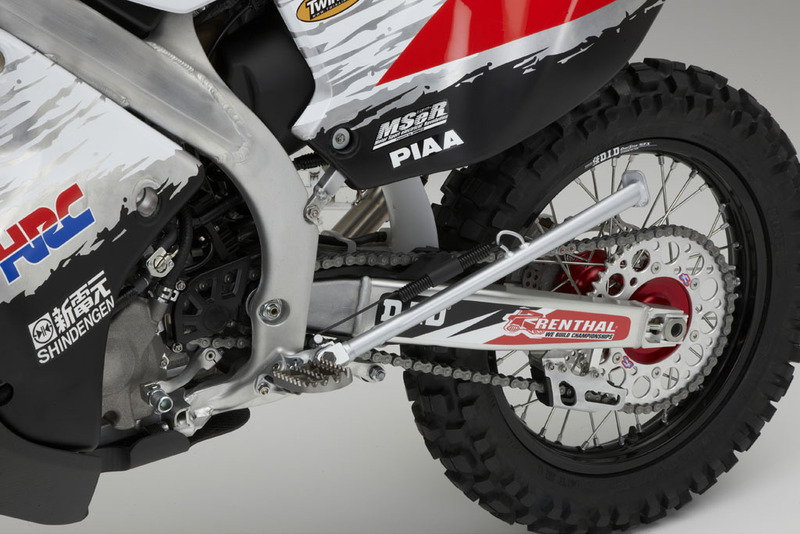 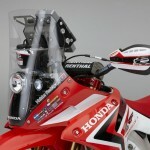 Unfortunately, there is no news yet as to any plans to mass produce a Rally version of the CRF450X. 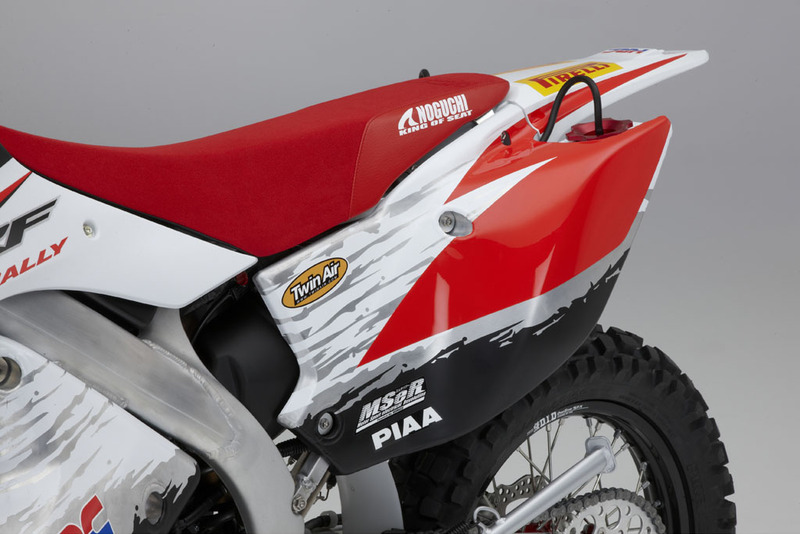 Click here for more Intermot 2012 coverage.